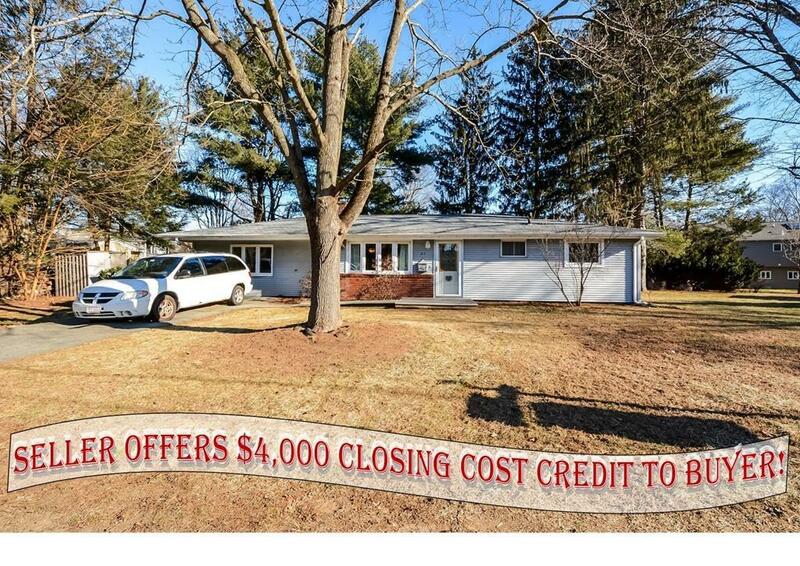 *** SELLER OFFERS $4, 000 CLOSING COST CREDIT WITH ACCEPTABLE OFFER ***** Nestled on desirable Lincoln Street, an easy stretch to vital downtown Maynard and the Reo Road tot lot, this easy living one-floor ranch offers you flexibility in the floor plan. A bright, newer eat-in kitchen has a large walk-in pantry and is open to the living room with new wall-to-wall carpet. The larger master bedroom is to the left of the property, and the three original bedrooms (one is currently in use as a spacious laundry room) are to the right. A deck opens on to a level and spacious backyard. A storage shed adds valuable storage space! Recent roof, electrical panel, extensive added insulation, and newer hot water tank add to the appeal. Take the closing cost credit and use the money you save to invest in making this house your own!